We’d love your help. 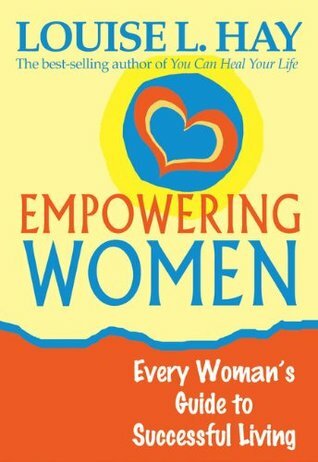 Let us know what’s wrong with this preview of Empowering Women by Louise L. Hay. To ask other readers questions about Empowering Women, please sign up. Jednostavno i jasno, za svaku ženu ponešto! Volim kada u knjizi pronađem nešto za sebe, kada je realna u svojoj pozitivi, kada je ono što prenosi iz iskustva. Jedna od onih knjiga koje te ostavljaju zadovoljnom osobom nakon što ju pročitaš. This is very much a guide book to getting a woman moving on her journey. A stepping stone to inspire us to be all we can be. she addresses issues when we are young and as we age. How much control we have over our lives and gives personal examples and great inspiration for change. She even gives the science for the skeptics who need that in order to move on and embrace ourselves.
. Trust that place in me where there is infinite wisdom and holds all the answers I s This is very much a guide book to getting a woman moving on her journey. A stepping stone to inspire us to be all we can be. she addresses issues when we are young and as we age. How much control we have over our lives and gives personal examples and great inspiration for change. She even gives the science for the skeptics who need that in order to move on and embrace ourselves.
. release our negative beliefs. I am planning on writing down my belief system about work, men, money, marriage, love, health, aging, death, myself, etc. and any negative beliefs that are holding me back will be reversed into positive affirmations so I can move beyond my story, my past.
. Middle age is whenever you decide it to be. I have not reached my middle age yet. What you truly believe in your heart, your body will follow. This review has been hidden because it contains spoilers. To view it, click here. الكتاب عبارة عن مجموعة مقالات عن نظرة المراة لنفسها وكيف انه من المهم تحسينها وتنمية حبها لذاتها.. اعجبني كثييييرا فصل حب الذات وكذلك فصل التقدم في العمر.. مجتمعاتنا اصبحت مثلها مثل المجتمعات الغربية بل ربما اسوأ في مسألة تمجيد الشباب في العمر والشكل مما يؤثر على نظرة المرأة الناضجة وشعورها تجاه نفسها واهميتها في المجتمع ولمن حولها.. والكتاب يقدم افكار لكيفية تجاوز هذه العقبات.. انصح بقرائته لكل امرأة..
ذات مساء تابعت بث مباشر للدكتور في الاستشارات الزوجية حارث المزيدي وتطرق بالحديث عن تلك السيدة وتجربتها في التشافي من مرض السرطان من دون الخضوع لأي علاج كيميائي مكتفيةً على الإيحاء والنظام الصحي ، قد يحسب البعض الأمر مبالغ فيه ، لكن لو تمعنا لطريقة حياتنا وتفكيرنا سندرك جيداً لماذا لا نتحرك خطوة للأمام ، ولماذا هذا العام يشبه العام الماضي ؟! هذا يتوقف على ما تحمله من أفكار وتجارب ماضيه وكيف فسرتها فتخزن في عقلك الباطن ليكون تفسيرك لمجريات الحياة مبنيه على تلك الأفكار إن كانت سلبية أم إيجابية ، وه ذات مساء تابعت بث مباشر للدكتور في الاستشارات الزوجية حارث المزيدي وتطرق بالحديث عن تلك السيدة وتجربتها في التشافي من مرض السرطان من دون الخضوع لأي علاج كيميائي مكتفيةً على الإيحاء والنظام الصحي ، قد يحسب البعض الأمر مبالغ فيه ، لكن لو تمعنا لطريقة حياتنا وتفكيرنا سندرك جيداً لماذا لا نتحرك خطوة للأمام ، ولماذا هذا العام يشبه العام الماضي ؟! هذا يتوقف على ما تحمله من أفكار وتجارب ماضيه وكيف فسرتها فتخزن في عقلك الباطن ليكون تفسيرك لمجريات الحياة مبنيه على تلك الأفكار إن كانت سلبية أم إيجابية ، وهذا مايفسر تقدم زملائك في العمل أو نجاح أو فشل علاقتك الزوجية فحتى لو كان الخلل من الطرف الآخر فقد تكون أنت العنصر المساعد لحدوث ذلك الشيء ! الكتاب يضم مجموعة من الأسئلة تطلب صاحبته من القارئ الإجابة عليها فهى كفيل بتغيير اتجاه تفكيرك لكل تجارب ومواقف الحياة التى مررت بها ، فلو اعتبرت تلك الحوادث أن بواطنها في صالحك ستكون أكثر قدرة على المضي والتطور بدلاً من عيش دور الضحية والنظرة السوداوية للحياة وللآخرين ، اضافة إلى تقدير الذات حتى لو نشأت في منزل يحط من قيمة المرأة وبأنها لا تستطيع القيام بأي شيء دون وجود الرجل بجانبها . لويز هاي لا تعلن من وراء كتابها الحرب على الرجال أو حتى إلقاء اللوم عليهم بجعل النساء في المرتبة الثانية ، بل بالعكس هى تلقي اللوم على المجتمع العنصري وعلى المرأة أيضاً التى آثرت أن تكون تابع بدلاً من أن تكون قائد لنفسها ولأبنائها . Awesome book, read it 4 times and every time I read it I learn something new. Those who follow me here on goodreads will notice soon, if not already, that I'm reading a lot of Louise Hay right now. Partly due to my bulging L5/S1 disc. Do I absolutely believe 100% that all physical illness is caused by mental blockages? In short, no, not all. I do believe that sometimes a physical ailment, is just physical. No matter how positive your thoughts are, living on earth with gravity, etc. is not easy on our bodies. But I also think that a lot of times, a lot more than we in the Those who follow me here on goodreads will notice soon, if not already, that I'm reading a lot of Louise Hay right now. Partly due to my bulging L5/S1 disc. Do I absolutely believe 100% that all physical illness is caused by mental blockages? In short, no, not all. I do believe that sometimes a physical ailment, is just physical. No matter how positive your thoughts are, living on earth with gravity, etc. is not easy on our bodies. But I also think that a lot of times, a lot more than we in the west tend to admit, bodily ailments do have a root cause of stress, overwork, mental fatigue, mental anguish, negativity, or other metaphysical issues. So I think it depends on the person and the issue and it's important to look (w)holistically at it. The one thing that I can't get over when reading Louise Hay and others of similar thinking, is that it can smack of victim-blaming. So I think it's important to be aware not judge people or assume they brought illness on themselves somehow. Maybe they did, or maybe it's just a physical issue, it's not for us to judge. This book's got some down to earth advice for women, like saving money for yourself, exercising, eating well, keeping a positive outlook on life, speaking out against sexual harassment, mixed in with some out-dated advice that didn't age so well. The chapter on menopause was just cringe-inducing. "Traditional American Indian women do not experience menopause; they continue to menstruate until they die....They do not understand the concept of menopause... In the past, it was normal for Indian women to have children in their 60s." ... Yeah, I'm gonna need a reference on that one, Louise. It's interesting to me, reading through the reviews, that many people say "this was printed way back when, so some issues may not be relevant anymore," because reading it in 2018, a lot of it sure seems relevant as hell. There's a chapter on speaking out against sexual harassment in which she recounts having a male employee working for her who turned out to be harassing women around her office. This is all way before #MeToo and #TimesUp. This is the first of Louise Hay's books that I have read. (Her work was recommended to me by a fellow person who is interested in alternative medicine). 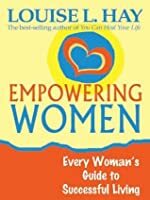 Like some of the other reviewers of the book I appreciated the purpose of this book, which was to provide inspiration, uplift, and encourage women to be more aware of how emotions, even subconscious, affect their life from financial success to physical health. The premise of Hay’s philosophy seems to be that the thoughts we think, the words we s This is the first of Louise Hay's books that I have read. (Her work was recommended to me by a fellow person who is interested in alternative medicine). Like some of the other reviewers of the book I appreciated the purpose of this book, which was to provide inspiration, uplift, and encourage women to be more aware of how emotions, even subconscious, affect their life from financial success to physical health. The premise of Hay’s philosophy seems to be that the thoughts we think, the words we speak, and the beliefs we hold shape our experiences and our lives. We have power over our words and more than 60,000 per day thoughts; as we change our thinking and our words, our experiences also change. Things I liked: this book is a quick read (about 2 1/2 hours). I liked learning more about Hay's philosophy, and I agree that there is definitely in how we view our physical health and emotional/spiritual health. I really enjoyed Hay's uplifting attitude and was inspired by the vitality for life she shared through her writing. I plan on reading some of her other work. Things I could have done without: (1) The first two chapters are much of a rah-rah-go-women type of chapter. (2) I do not agree with Hay’s conception of the Universe, incarnation, etc. but I still believe that her overall philosophy synchronizes with the Gospel of Jesus Christ and my understanding of Heavenly Father, Jesus Christ, the Holy Ghost and the purpose of life. (3) Chapter seven is about “exploring sexuality” – I do not agree with her condoning of lesbianism, although I do agree that we need not judge others or condemn them based only on what they have identified as their sexuality. I do not agree with Hay’s beliefs because of my own beliefs in eternal laws of morality. The version I "read" was an audio book. Louise Hay is a best-selling author, founder of Hay House, Inc., and the international leader in inspirational and self-help publishing. At times her views can be seen as radical and definately unorthodox. This (audio) book was interesting and had some really "empowering" advice, thoughts and antedotes but I didn't enjoy it as much as I have her other work. As with any "self-help" book, I would recommend keeping an open mind and retaining only those things The version I "read" was an audio book. Louise Hay is a best-selling author, founder of Hay House, Inc., and the international leader in inspirational and self-help publishing. At times her views can be seen as radical and definately unorthodox. يختصر الكلام المطول الذي يذكر في كتب اخرى. "علينا ألا نولي اهتماما للمفهوم القديم القائل إن المرأة لا تستطيع أن تدرك أي شيء. دائما مانظن أننا لانعرف شيئا، ولكننا أكثر ذكاء مما نعتقد، لذا نستطيع أن نتعلم ما نريد." أنصح كل النساء بقرأته ..
هذا الكتاب البسيط في عرضة ومغزاه كان دون مستوى الفكرة ومستوى التوقعات بكثير ، أصابني الأحباط والملل والفصول الأخيرة كانت ثقيلة ومُكررة جداً ، مادفعني لإقتناء الكتاب كمّ التعليقات الايجابية والتقيم العالي هُنا ، لكنني بالتأكيد لن أُخدع مُجدداً وسأدع هذة الأمور في أسفل قائمتي عند اختيار كتاب جيد! كتاب موجه لكل امرأة، فهو يحتوي على عدة فصول بمواضيع مختلفة. الكتاب جدا تقليدي بمحتواه، فهو لا يلامس ولا يحرك الداخل. كتاب نظري جدا بعبارات تكررت كثيرا في حياتنا وصادفتنا كثيرا. يفتقد الكتاب لعنصر جدا مهم ألا وهو جذب انتباه القارئ. Seriously a great read & includes Beneficial resources!! Recommend to Woman whose Finding Herself!! So empowering, each topic discussed was very helpful. Velmi pozitivně napsaná kniha že sveta myšlení žen. Popisuje jak se ženy sami omezují, a proč tomu tak je. Autorka popisuje jak to překonat a proč by ženy měli chtít to překonat. Pro mě byla ta knížka úplně na nic. Obecně mířená moudra a rady. Navíc je psaná dost manipulativním stylem. Perfect book for a good motivation and a.new start. Christiane Northrup is an excellent speaker. I found her section to be extremely entertaing, educational and inspirational. I will keep this disk to share with friends and listen to again. I wish the other three speakers were as enjoyable. I found parts of their lectures to be downright offensive and radically feminist. They villianize going out of you way to do things to improve your husbands life. I think it is a great thing as long as the respect is mutual in the relationship. Ms. Hay should Christiane Northrup is an excellent speaker. I found her section to be extremely entertaing, educational and inspirational. I will keep this disk to share with friends and listen to again. This is a great book if you want to change your life, especially if your negative thoughts are keeping you encumbered. One of my favorite chapters was the one on Advertising.... how ad agencies ensure we keep a negative attitude about our bodies.... It's pretty right on. I have noticed these types of ads on my FB page and I always ask to have them removed as being "Offensive" sometimes I even write a note about them to FB. I don't get many ads on how to get rid of belly fat, wrinkles, etc. any longer.